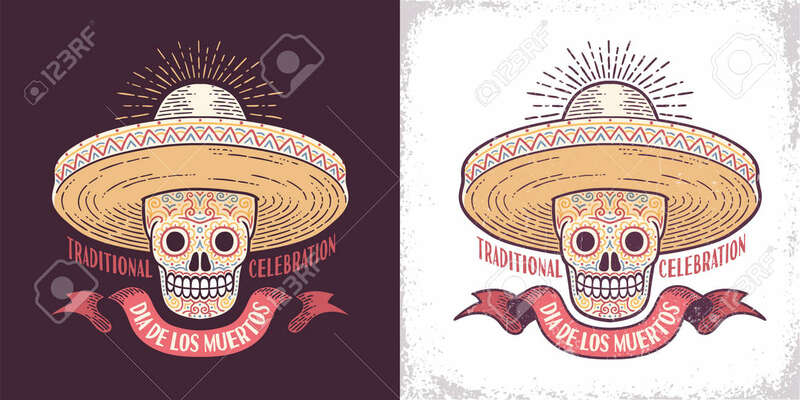 Dia De Los Muertos Sugar Skull Symbol In Sombrero Retro Illustration... Stock Photo, Picture And Royalty Free Image. Image 110946335. Illustration - Dia de los muertos sugar skull symbol in sombrero retro illustration. Day of the Dead is a Mexican holiday. Worn texture on separate layer. Dia de los muertos sugar skull symbol in sombrero retro illustration. Day of the Dead is a Mexican holiday. Worn texture on separate layer.